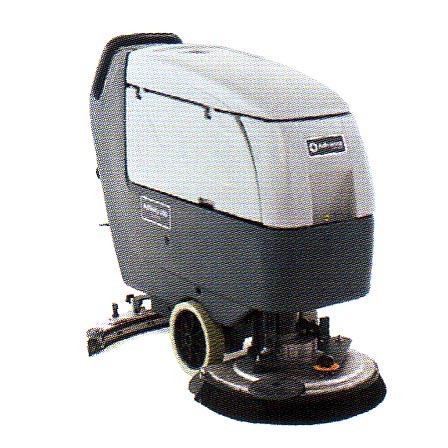 The NILFISK-ADVANCE ADFINITY 20D is a battery powered walk behind auto scrubber. The control system is easy to use for operators of all skill levels with the One-Touch ergonomic control paddle. The pad pressure allows the operator to select the best possible pressure for the job at hand. The brushes are click on for easy and fast maintenance, increasing producvitiy. The NILFISK-ADVANCE ADFINITY 20D is compact and ideal for small jobs and is durable enough to handle large jobs.